Travelers in Europe know that in Paris the polite pooch is welcome in restaurants. The UK, France, Spain, Portugal and many other European countries offer accommodations for pet owners to stay with their furry friends. The USA and Canada may not have the same reputation yet, but man's best friend is making inroads when it comes to travel in North America. This part of the world is finally waking up to the stress and expense that leaving your dog behind in a kennel or with a pet sitter can cause pet owners and their families who travel on vacation. To help you make plans for your next vacation that can include bringing your dog along, DogFriendly.com regularly releases its list of Top 10 dog-friendly vacation destinations in the US and Canada.They compile this list every year for people who want to be able to travel with their pets and without stress. These are the top 10 North American cities offering great pet-friendly lodging, attractions, parks, beaches, shopping, dining and other things to do with your dog. 1. Boston - Take a boat or whale watching cruise. Walk the Freedom Trail, visit Salem and explore history at Minute Man Park. In this pet friendly city, your leashed dog is even welcome on Boston's subway. 2. Vancouver - Walk the Capilano Suspension Bridge and park. Take a walking tour of Historic Gastown. Take the ferry and visit nearby Victoria and beautiful Butchart Gardens. 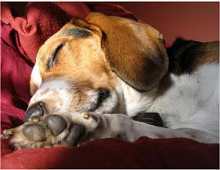 Take your furry friend to a large number of pet-friendly hotels in Vancouver, often rated the No. 1 pet-friendly city in North America. other major cities offer pet-friendly hotels. 3. New York - Stay in luxury at many fine hotels - Manhattan alone offers almost 100 pet-friendly hotels -- ranging from the Holiday Inn to the Hilton! Walk the Brooklyn Bridge. Stroll through Central Park or ride the horse drawn carriages. Take a walking tour of lower Manhattan. Watch a morning show. Shop in famous stores. There is one drawback. Your dog is not welcome on public transportation, including most cabs, so plan your sightseeing with that in mind. 5. Austin - Visit Zilker Botanical Gardens, catch a horse and carriage ride, or dine at a handful of Austin's dog-friendly outdoor restaurant patios and cafes. See the bats leave the Congress St. Bridge at dusk. Use the city's many parks. 6. Portland - Enjoy over 20 off-leash areas, an amusement park and the famous Rose Gardens. Dine at the Lucky Lab. Visit the Saturday Outdoor Market and hike in the Colombia River Gorge. 7. Northern Virginia - Dine or enjoy happy hour in dog-friendly Alexandria. Take the Canine Cruise on the Potomac. Visit outdoor monuments in Washington and Virginia. 8. Orlando - Stay at resorts such as the Portofino Bay and Sheraton World. Take a boat cruise, or shop Winter Park. 9. San Diego - Don't miss San Diego's off-leash dog beaches. Stay at Loews Coronado Resort. Shop at dog-friendly Otay Ranch Shopping Center complete with a dog park. Dine outdoors. Visit nearby Julian. 10. Dallas/Fort Worth - Ride a carriage, visit Pioneer Plaza, take a walking tour. Visit Fort Woof dog park and the Stockyard in Fort Worth. Dine on Texas BBQ at outdoor restaurants. DogFriendly.com's United States and Canada Dog Travel Guide and other books are available at stores everywhere and at http://www.dogfriendly.com .